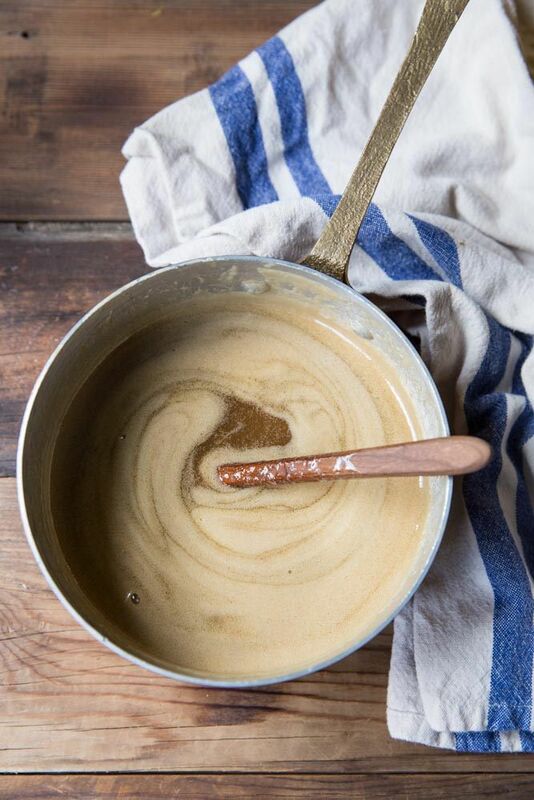 Today: A boozy, five-ingredient caramel sauce that's perfect for holiday gifting, from Becky Rosenthal of The Vintage Mixer. 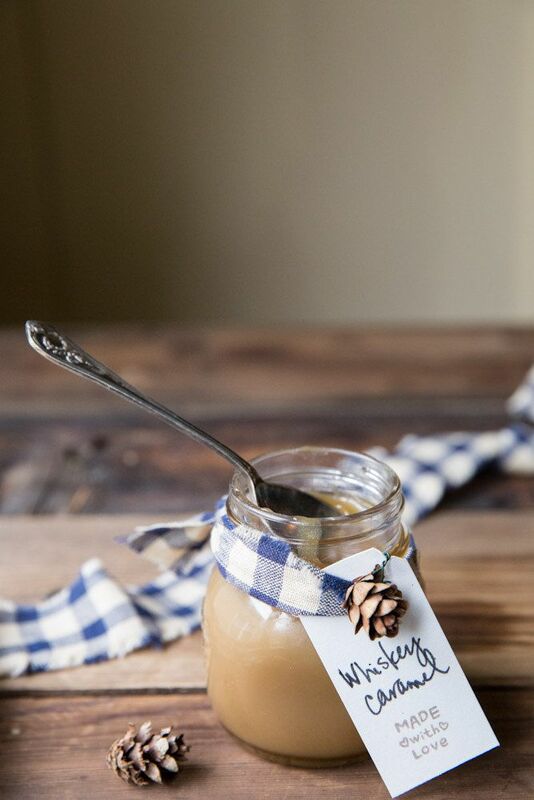 When a friend rattles off her whiskey caramel sauce recipe to you by heart, you know it's going to be good. It all started with a naked chocolate bundt cake in need of a topping -- that's when my friend Haley came to the rescue with her go-to caramel sauce. My chocolate cake hasn't been the same since; it's a happy and tipsy end to any party! Since that first date, we have changed the caramel recipe a bit, adding a touch of salt, some cream, and less whiskey for perfect balance. Now we enjoy it over just about anything -- from ice cream to bread pudding to pumpkin pie -- and still, it's greatest match is for our chocolate cake. Our friends enjoy it so much that we've started to give it away as gifts around the holidays. More: Our favorite presents are the ones you can eat. Here are a few more edible gift ideas. As a non-crafter, I got some help from my friend Ana to spruce up the jars with a pretty label and a tiny wintry scarf. Now, they're perfectly dressed for any party. But those plaid scarves won't stay on for long -- this sauce usually gets unsealed before the party's over! 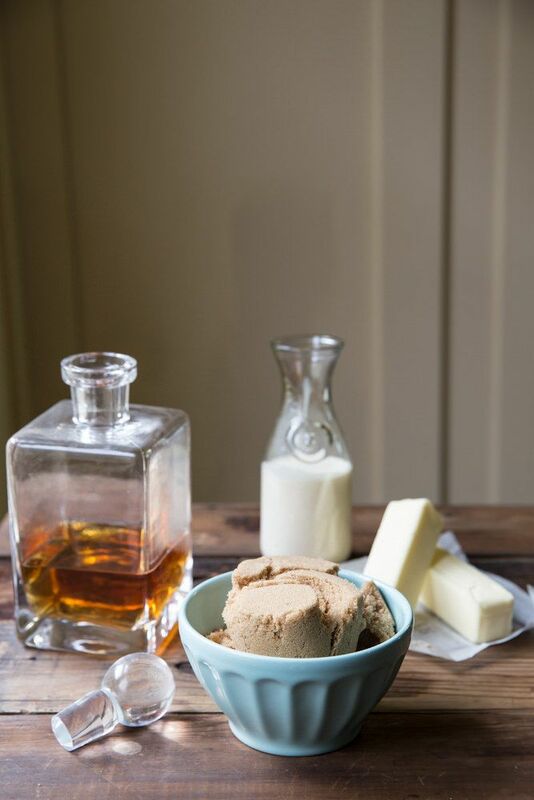 Place all of the ingredients, except the whiskey, in a medium pot over low heat and stir until melted and combined. 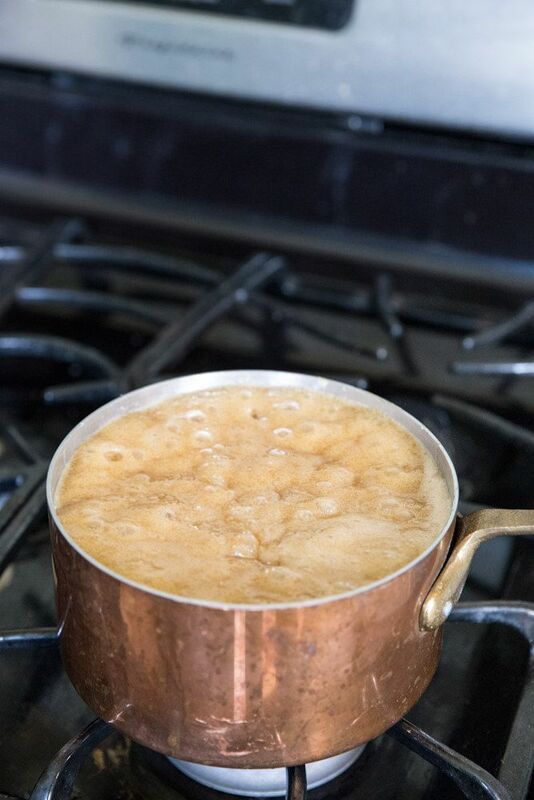 Turn the heat up to high and bring the caramel to a boil. Once it's boiling, turn the heat down to medium-high and gently boil for 3 more minutes. 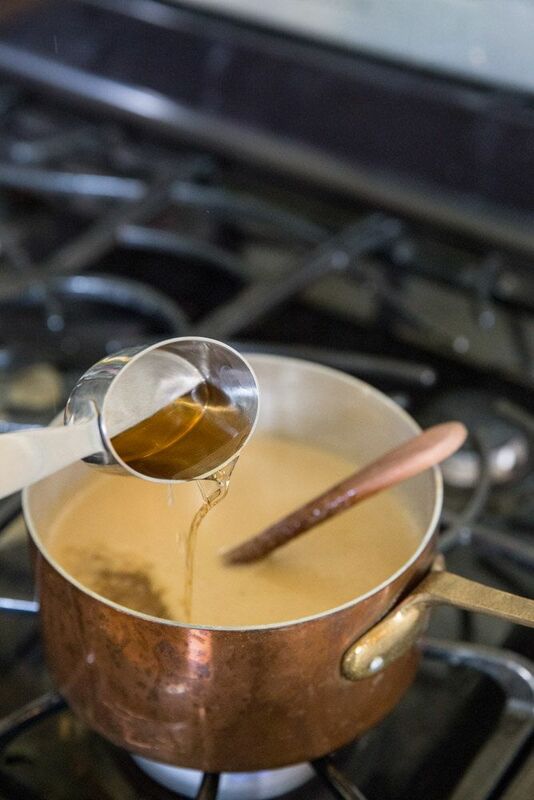 Remove the pot from the heat and add the whiskey, stirring constantly, as the liquor will cause the caramel to bubble back up. 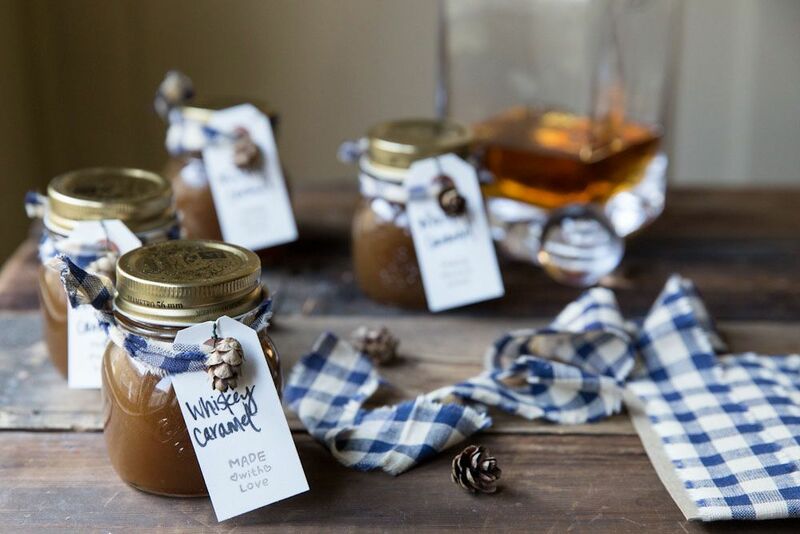 Allow the caramel to cool slightly, then pour it into individual jars. Store in the refrigerator for up to 2 weeks and enjoy! Would it be possible to use dark brown sugar? I would love to make this for my family, but I would need to ship them… Think they would be okay not refrigerated for that time? Sarah, Thanks so much for letting me know! So glad to hear that you enjoyed it. Think it would be possible to somehow hot pack and seal these jars for longer room temperature storage? I don't know how that would work, would the caramel just start to boil in the jars and prevent them from sealing? It requires special equipment because it contains dairy. Nobody wants Botulism. Kaitlin, I would definitely go for refrigerated storing for these since they have cream! any idea how this freezes? I'd like to make it as a Christmas present for some college friends but I just went on break! I wouldn't recommend freezing it, but keeping it in the fridge should be fine for at LEAST two weeks. It also comes together in less than 15 minutes, so you could even just make it fresh when you get back from break. Can you tell me which jar you used? Your link in the article is leading to a different jar. Thanks. I used 5 ounce jars from Sur La Tab. But I've also used Weck Jars also. Thanks Becky. I agree that those Weck jars look great, but they are not cheap! I am trying to find jars for a commercial use, and it is not that easy in the smaller size. Christine, I would order some online. I find that ordering jars online is the cheapest way. Try amazon. Just make sure they are the right size you're wanting to fill! This is not caramel sauce..... It's butterscotch sauce. oh, thank you for clarifying Kaya. 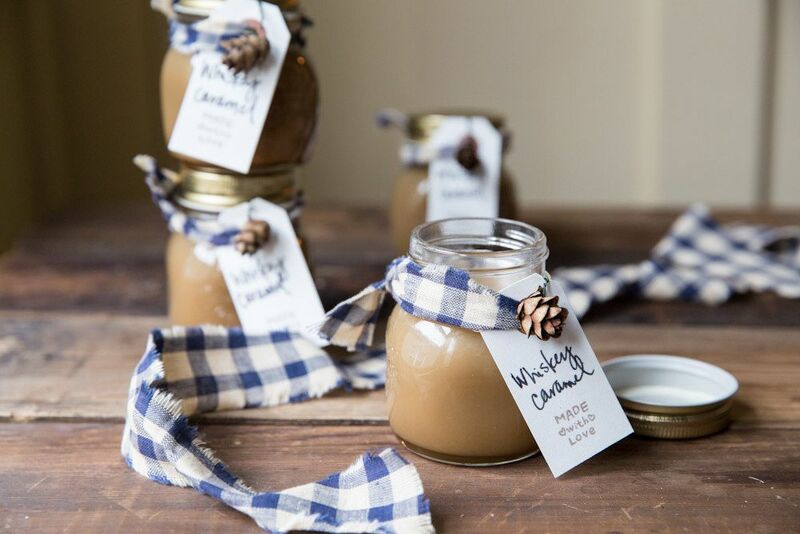 I'm a little confused...why is the title of this article "How to Make Whiskey Caramel Sauce," why not "How to Make Whiskey Butterscotch Sauce?" Thanks for letting me know Kaya. 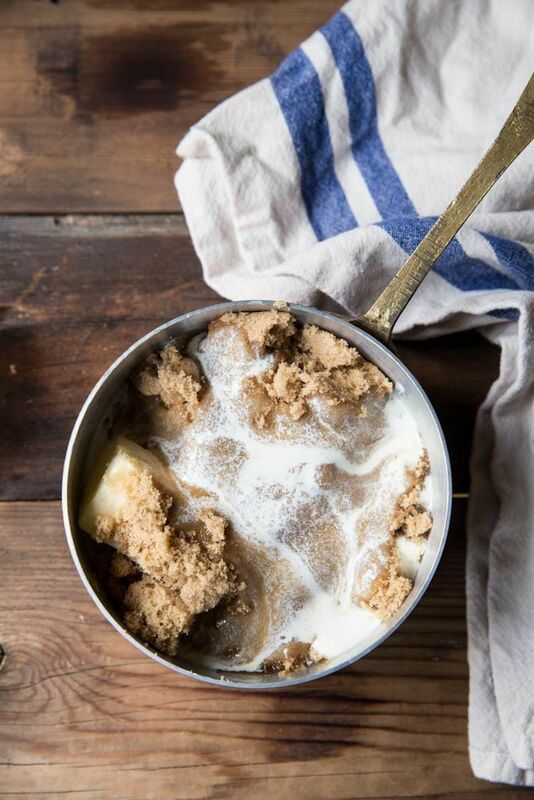 The brown sugar technically is what you use for butterscotch but for me, I like using it for a quick caramel. The result, for topping cake ice cream etc is perfectly caramel-y. I'm not trying to be obnoxious, the recipe and pictures are great, I think it's just mis-labeled as caramel, since it's not technically caramel. Caramel is made from caramelizing sugar, which isn't done here. Wow I didn't know caramel was so easy to make! Thank you for the post! Ekaterina , brown sugar (instead of white sugar) makes for a quick caramel-y sauce. I think if you try it you'll enjoy it. Thanks for the tip Becky, I will!